What to Do If You’re Pregnant? 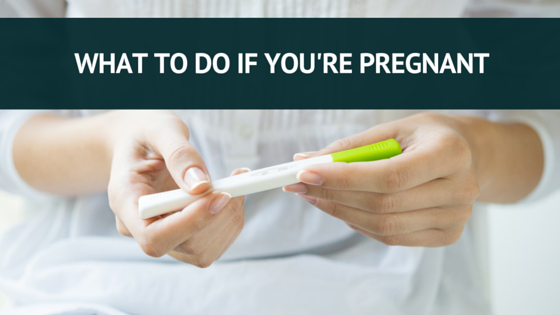 Out of all the questions we receive, “What to do if you’re pregnant” is one of the most common. Women contact us in various states of vulnerability – some women aren’t exactly sure what the next steps are, while other women are in “panic mode” and simply need a guiding hand. Regardless of where you’ve come from or what your situation is, the Turning Point Pregnancy Resource Center offers unplanned pregnancy options, a safe and confidential environment, caring counselors and a community referral network for broad-based support. We provide free pregnancy tests to verify your pregnancy. If you’re eligible for an ultrasound, Turning Point also provides ultrasound exams (free of charge) to determine the gestational age. Once we’ve gathered all pertinent information, your options for an unwanted pregnancy are discussed in a completely confidential, totally caring environment. No pressure to act now. No harsh judgments of why you’re here. No “take it or leave it” mentality – just personal, attentive one-on-one, woman-to-woman discussion. We put you in charge of your unplanned pregnancy options, not the other way around. Our compassionate, nurturing and friendly pregnancy counselors empower any woman who seeks our help. Turning Point will ultimately help you decide what to do if you’re pregnant, even if your family and friends won’t. Turning Point can help you plan the next critical days, weeks and months ahead following an unwanted or unplanned pregnancy. Yet before any of this assistance becomes available, you have to be willing the first step, and that’s asking for help. Turning Point’s main clinic in Miramar (northern San Diego) and our Mobile Pregnancy Clinic in Mountain view (southern San Diego) provide completely free and 100% confidential crisis pregnancy assistance. Panic. A crisis pregnancy has enough drama, stress and what-ifs to give you more than you can handle. Going into “panic mode” only increases the tension, and makes it more difficult to make sound decisions. Keep it to yourself. Want to make an existing problem worse? Don’t tell anyone. Many crisis pregnancies are compounded by taking a silent approach. Back to our previous point: you can always receive help at Turning Point, but you have to ask for it! Visitors are always welcome. Do nothing. Inaction is negative action. Some women wait for weeks, only to make a decision they end up regretting for a lifetime. Other women enter motherhood with no plan for their life and their baby’s well-being. When all else fails, get help. Speak up. Don’t let an unplanned pregnancy control you; take control back by taking action! Continue bad habits. Poor lifestyle choices like smoking and excessive drinking aren’t only bad for you, but they can spell trouble for your baby. Birth defects, low birth weight, premature births and other complications could stem from unhealthy lifestyle habits. If you’re not sure what to do if you’re pregnant, contact the Turning Point Pregnancy Resource Center today. When you’re figuring out your options for an unwanted pregnancy, the important thing is to receive professional pregnancy help immediately. Our medical personnel, counselors, and other staff will make your experience as comfortable and confidential as possible. Explore your unplanned pregnancy options. Get the help you need. Your situation is not hopeless; we’ve helped thousands of women in San Diego County since opening our doors in 2000, and our counselors will work with you to determine the next steps. If you’re not sure what to do if you’re pregnant, here’s a suggestion: call Turning Point. Our representatives can discuss your situation and get you help ASAP. Call our office at 858-397-1970. We look forward to hearing from you!